Italian soccer player who became the first player born in the 2000s to score a goal in one of Europe's five major leagues in 2017. He's also known for playing as a forward for Hellas Verona in 2016. The retired goalkeeper Renato Biasi helped him join Asti Calcio Football Club. He has gained over 500,000 followers on Instagram. His parents are Isabelle Dehe and Biorou Jean Kean. 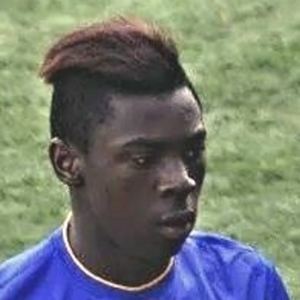 His brother Giovanni Kean Dossè is also a soccer player. He shared a photo on Instagram with Zlatan Ibrahimovic and Paul Pogba in August 2017.